We have launched, and we are live—have you heard what's new for 2018? Well, one of iD Tech’s biggest and most exciting developments for the upcoming season is our new Game Studio, featured in the iD Game Design & Development Academy. As the name suggests, Game Studio is an introduction to a game dev studio environment, meaning students will be in charge of designing, planning, and executing game designs in small teams. We’re basically giving students the power to make the games they want to make, while introducing them to a real-world work environment. 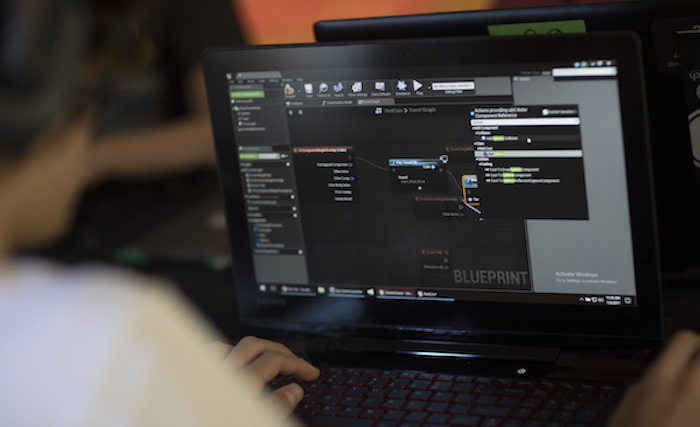 In these courses, students will take on the role of gameplay programmer, level designer, or environmental artist, and will work together to build a game prototype. We wanted to link up the iD Game Design & Development Academy courses to show how each of the related skills comes together to make games. Rarely are games built by one person—Destiny 2’s credits are ten minutes long—so you're typically going to need a wide variety of roles for completion. You need that programmer to get the game’s foundation up and running. You need that designer to set up the world and make sure that the team is creating memorable events. You need that artist to draw the player into the world with visuals that pop. This two-week experience shows students the multifaceted path to real-world game design, then leads them to the first steps down it. First, let’s talk about college and careers. I started with iD Tech as an Academy instructor, and during my time we had the opportunity to visit a number of professional game studios. In one of those visits, a programmer talked about how the studio was started and showed a simple game they made; one where the player walked around a farm and completed small tasks. That simple game was what got them their first job, as it showcased their ability to start a game and see it through to the end. That’s exactly what the new Studio experience does—it prepares students with playable game prototypes to send along with their college applications. 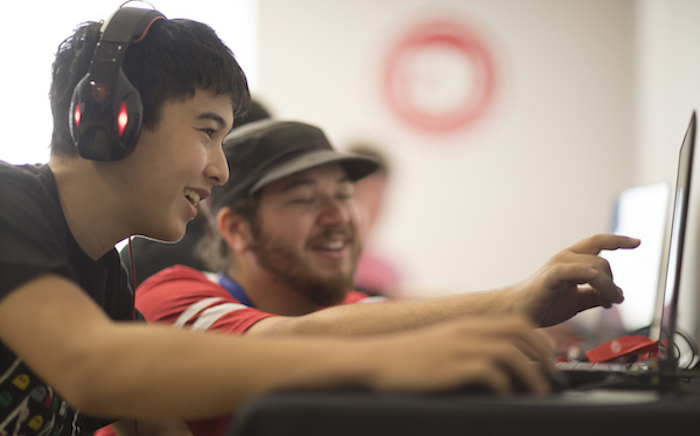 A student can showcase how they worked with others to make their game; they can speak to exactly what they did during the process, and talk about the lessons learned from the experience; they can show colleges they have drive and are already walking the path to professional game design. It does nothing but help them get into the school of their dreams. All of that, and we haven't even mentioned the fact that students are empowered to own their experiences, giving them full and complete control over what they create. And last, being on a team gives students more freedom to build bigger—together. They’ll learn to divide tasks and combine work into something greater. They’ll understand why every team member's role is essential. They’ll be prepared to keep working on games and improve skills after they leave. Not to mention they’ll have new friends to help carry them to their goals and vice versa. Sounds great—can you walk me through Week 1? In students’ first week, they’ll spend a few days learning their main role, based on the "version" of Game Studio for which they’re registered. For example, if you register your student for C++ Coder and Gameplay Programmer, they’ll learn C++ and Unreal Blueprints. In Level Designer and VR Developer, they’ll learn how to build levels from a gameplay perspective and experience VR with the HTC Vive. In 3D Modeler and Environment Artist, they’ll get accustomed to the ins and outs of asset creation with Autodesk Maya. After those first few days, students spend a day in each of the other roles, learning some of the respective skills; coders will spend one day learning level design and one day learning modeling, and so on. Why are students learning multiple roles? When you have a small team—like many indie game studios do—it’s common for people to fill multiple roles; coders might be pitching in on level design, for example. Learning the different aspects helps students experience that real-world blending of jobs. Plus, it gives students a taste of multiple disciplines before they get to college. Maybe they think they’ll love coding, but then discover they really have a talent and passion for modeling instead. Now they have a more concrete idea of what path they want to pursue in college (and better to find that out now than after their first semester!). Ready to register? Click here to get started. Or download our 2018 brochure to learn more about iD Tech! You've mentioned "roles" a bit. Can you explain? A student’s “role” will determine where they have the final say with their game, and what they’ll ultimately be responsible for creating. Gameplay programmers will have the final say on game mechanics. Level designers will have final say on overall gameplay design of the level and scripted events. Environmental artists will have final say on the game’s art style and models created. This gives students the authority to make calls on their game while teaching them that they can’t take charge of every single decision. Once students are through their first week, they’re ready—ready to join a team and tackle making their own game. They’ll experience pre-production while getting hands-on with writing up design documents and creating concept art. Over this second week, they’ll tackle new tasks, learn new skills, and finish by writing a postmortem on their development time. There will still be lessons and classes, but the topics covered will be customized depending on what students need for their specific games. Can you walk through a sample day of Week 2? Sure! Of course, every experience will be different, but here's an outline of what to expect. After working for a bit, you check the time and it’s getting close to your production meeting. You meet with your instructor advisor and the rest of your team, going over what you’ve worked on, what’s next, and any roadblocks you might be experiencing. It’s getting close to lunch, so you update your tasklist with what’s been done so far and save your work. After grabbing some food, it’s afternoon break time where an instructor is getting ready to lead an excursion to the bookstore. So you decide to head that way, though you could have hung back with your team members to play some Ultimate Frisbee if you wanted to. After the break, it’s time to get back to work. An instructor starts a lesson on triggered events with Unreal Blueprints, which could really help you with an event in your level, so you decide to opt-in. You grab your laptop and head over. Once that’s done, you head back to your team, excited to apply this new knowledge, so you pop the music back on and knock out the next couple of tasks on your list. It feels great! After dinner, some students are unwinding with a game of Rocket League and an instructor is running a movie night. However, you want to polish off that last task, so you decide to put in a little more work before you hop into games—what a day. What you're really asking is, do you have to do group projects? While we do strongly encourage students to join a team, it’s not required. We’ll be providing assets for students to flesh out their games while still focusing on their specific roles. Solo games will be scaled smaller, but they’ll still have the full studio experience with development meetings, pre-production time, and so on. Any changes with recruiting/training instructors? This year, our instructors will not only be teaching students their subjects—they’ll be serving as advisors and producers for teams. Instructors will assist students with prioritizing tasks, mediating potential team conflicts, and ensuring that students finish their games on time. This role is another essential piece of the real-world applications of the Game Studio experience; students will have to work with producers wherever they’re employed. In terms of recruiting and training, we’re specifically looking for staff that have experience working in studio environments. We have a detailed instructor guide for every course, and the guide for these Game Design & Development Academy courses will include information about how best to assist students in this setup. We also train every single summer staff member, in-person. Can students take courses multiple times? Absolutely. Every game will have unique challenges and things to learn, even if your student makes similar games each session. One session might have your student making a top-down shooter, but what if in their next session, they add a cool combo mechanic to that idea? How does that change their levels or their weapon design? Plus, new team members will come with new ideas and new challenges for students to navigate. Students might also decide to switch roles for a new session in order to achieve a more well-rounded skillset, or stay with their first role to expand their talents. Instructors will be taking returners into account during Week 1 and designing new challenges for them. I’m excited to see the games that students create in the Studio. With this new format, we’ll have a variety of creative projects in the end, and I'm looking forward to seeing how students continue to push themselves, even after camp. That’s exactly what we’re aiming for. 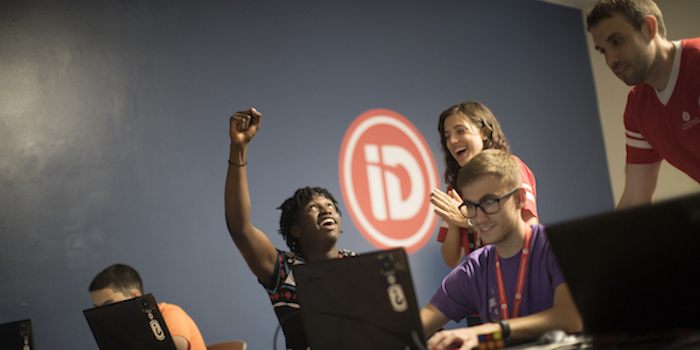 Learn more about our teen summer programs, Read about others' experiences with iD Tech, or use the buttons below to register or download a brochure.